The Ploch Art Gallery Season Archive of past exhibitions. 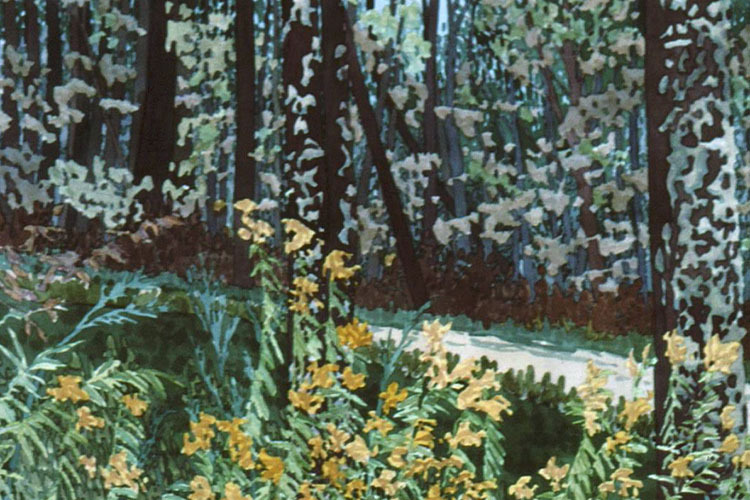 The Ploch Art Gallery proudly displays the work of living Wisconsin artists each season. Please see below for past exhibitions. Herbarium reveals the desire to capture and preserve things that comprise a place. The subjects include botanical specimens native to the prairie, as well as introduced varieties that now encroach upon the landscape, and the components describe narratives of transition, colonization, and exploration of the prairie ecosystem. 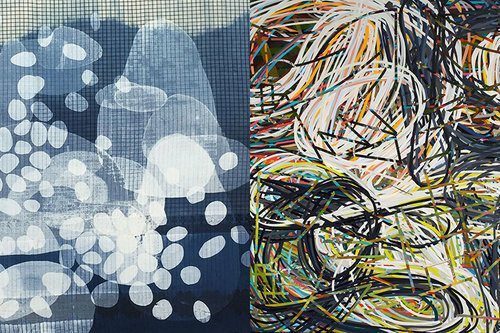 In a celebration of printmaking, artists Nina Ghanbarzadeh & Ethan Krause will draw inspiration from each other’s process. Krause’s current screen printed work uses four-color process printing to enter into dialog with print culture, scanning and photographing old material, (re)arranging it digitally, and returning it to print. The recent focus in Ghanbarzadeh’s work has been the intersection of text and image and the potential of using text to create movement and texture. The lithographic prints that comprise Water Sheds present a variety of landscapes altered by drought, with small figures moving through panoramic compositions. The environments depicted are drawn from deserts and boulder formations that evoke regions of the Southwest, to references to agriculture and livestock that speak to uses of the Midwestern landscape. Water Works is an exhibition of prints and photographs that look at the incongruous relationship we have with our landscapes. Looking at both the large and small aspects of constructed landscapes, this exhibition is an inquiry into how we understand the natural. 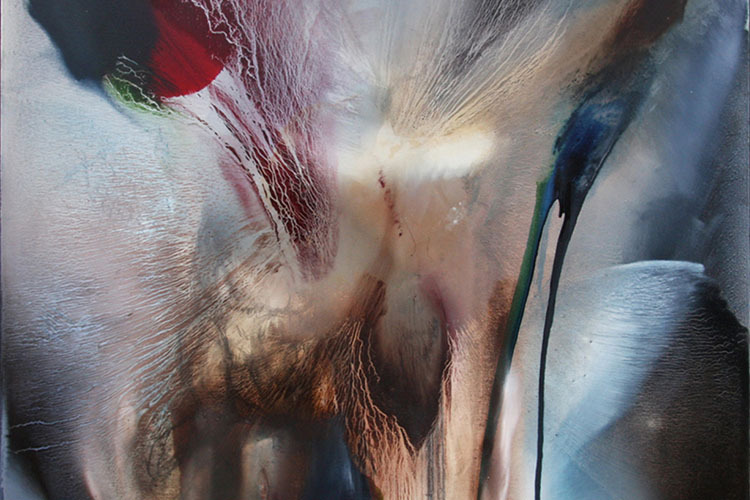 Artist Pacia Sallomi paints as a way of exploring the spiritual qualities of lived life. It is an intuitive process that is informed by experience, research, and journaling. She works in series; each exploring an idea that comes to completion when the underlying questions have been resolved and/or another question becomes more compelling. 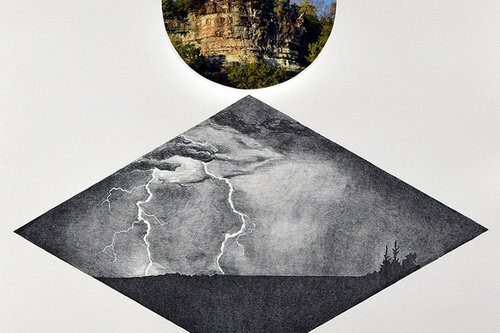 Milwaukee-based artists, Jessica Meuninck-Ganger and Marna Goldstein Brauner combine technologies of printmaking with fibrous materials such as paper and fabric to create new visual representations of space and site. Both artists explore cultures through traveling and making, through examining the environment via mediation, process, and materials. Through the use of 3-D animation, projection mapping, and augmented reality, this project will demonstrate how new technologies can provide meaningful experiences and new forms of storytelling. 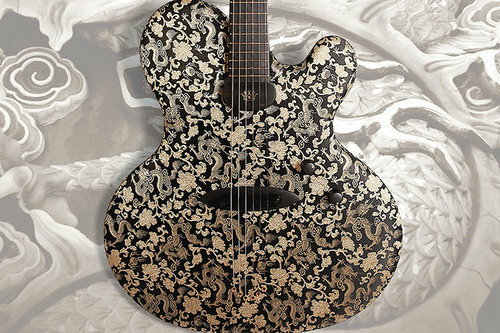 Aural innovation and visual beauty combine as award-winning photographer Jay Filter captures the craftsmanship and ubiquitous influence of the guitar. Karri Jamison is the 2015 Wilson Center Hidden River Art Festival Best in Show award winner. 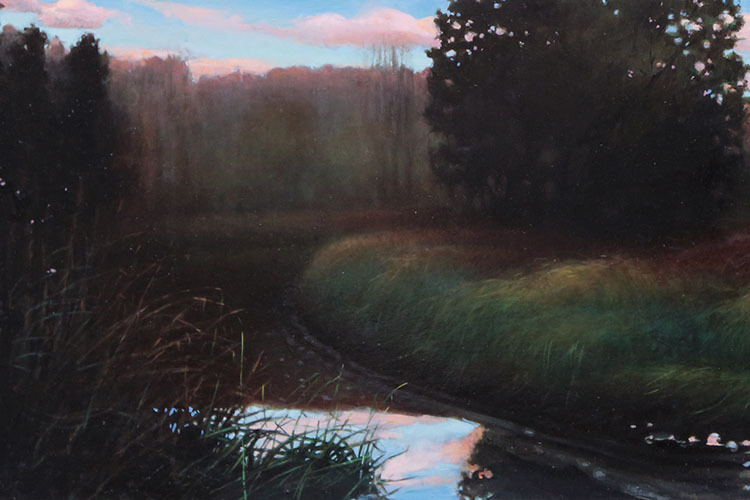 Her current series of paintings feature the birds and woodlands of the Midwest. Tyler Meuninck creates paintings of overlooked, regional panoramas of cityscapes in transit from Milwaukee to neighboring locations and states. 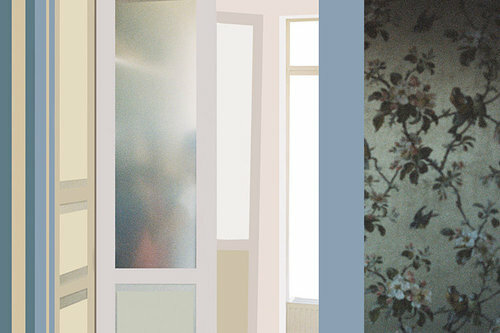 The series is sourced from a visual journal of photographs and drawings, and includes modern candid and traditional painting configurations. 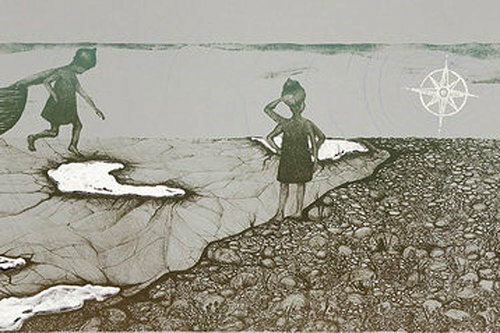 Tonia Klein's screen prints are influenced by fairy tales and world mythology. She uses these as a basis for sharing personal stories and investigating the role of women throughout history. In this way her work addresses and represents the social and political spheres of women. Lynne Railsback doesn’t paint roses or orchids. The plants that grow in Midwestern woods and prairies are her subjects. 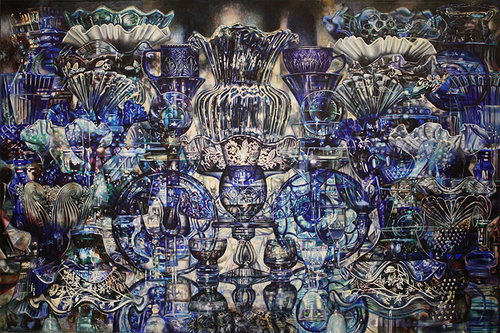 Her unique watercolors have been exhibited in botanical gardens, galleries, corporations, libraries, and museums throughout the United States and Europe. Stacey Steinberg’s recent work explores the glory and decline of the honeybee. 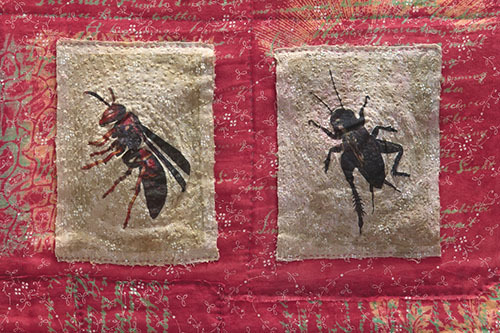 Her mixed-media images camouflage them in beauty and remind viewers of the power and vulnerability of these insects. Influenced by apocalyptic novels and real-time disasters, Knight’s paintings have begun to comment on our society’s collective fear of defeat. In the paintings, houses are destroyed beyond rescue. Left behind are colorful pieces of structure remnants. These fractured parts become the residue of our past, as well faceted patterns of light reflecting a brighter future. Rebuilding is still possible. From fashion-driven, one-of-a-kind clothing and couture jewelry to two-dimensional decorative textiles, this multi-dimensional exhibit features works by 2011 and 2013 Hidden River Art Festival “Best in Show” winners Peter Ciesla and Skye of Bazyli Studio. Working in thoughtful, poignant metaphors, Christopher Willey’s work is simultaneously complicated and simple. In his installation work, created especially for the Ploch Art Gallery, visitors will be encouraged to ponder the interconnected universe and each person’s small, but echoing place within it. 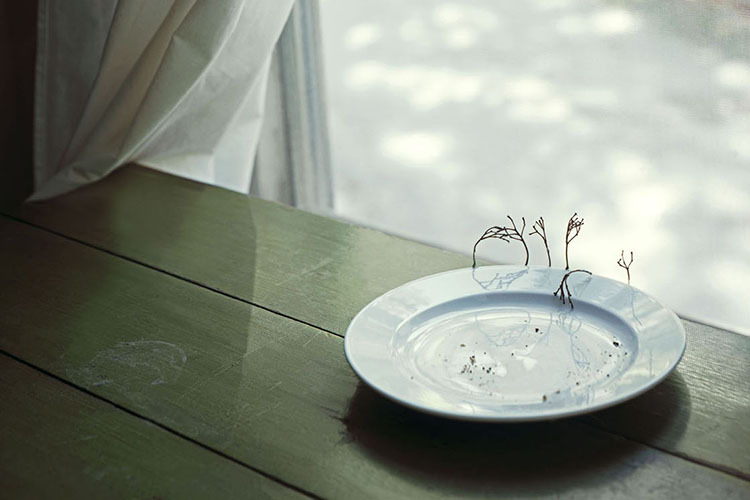 The natural world can overwhelm, and occasionally take over, the fanciful creations of Jean Sobon. The richly layered watercolors and drawings invite viewers to marvel at the pulsing world around us. Jenie Gao creates unabashedly strange and whimsical worlds where birds morph into houses and people grow branches from their temples. These fun and sometimes bizarre ink and watercolor creations will playfully loosen your grip on reality. American photographer Barbara Morgan became captivated by the “rhythmic vitality” of modern dancers in the 1930s. From 1936 through the 1940s Morgan photographed over forty dancers considered to be pioneers of modern dance, including Martha Graham, Valerie Bettis, Merce Cunningham, Jane Dudley, and many more. 2014 Wilson Center Hidden River Art Festival Emerging Artist People’s Choice award winner, Sarah Marie Becker utilizes photography and self-portraiture to investigate the ways in which social media dictates contemporary human behavior. Her exhibition will feature works from the series Free Advice, a performance photography series that relies on the advice of strangers, and Define Yourself, an exploration of self-identity through the eyes of others. Larry Chatman’s photographs are at once beautiful and unsettling. Choosing to stare when others look away, Chatman encourages us to take another look down abandoned streets, at neglected facades, and faded signs to recognize their beauty and distinction. Activated by a sense of curiosity and wonder, Katie Musolff’s creations invite us into her neighborhood, her home, and her backyard. These sensitive and witty watercolors will make you laugh and marvel at the vibrant world around us. 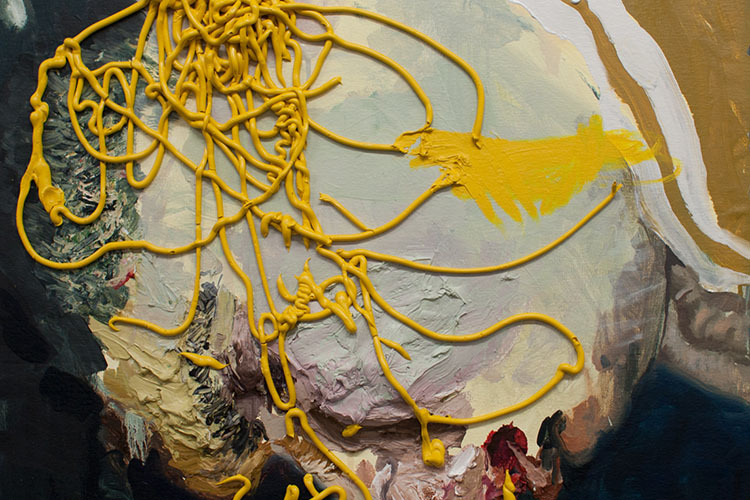 Boris Osterov explores the physicality of paint to create juicy and visceral abstract paintings that are imbued with a sense of directness, mystery, urgency, and excessiveness. 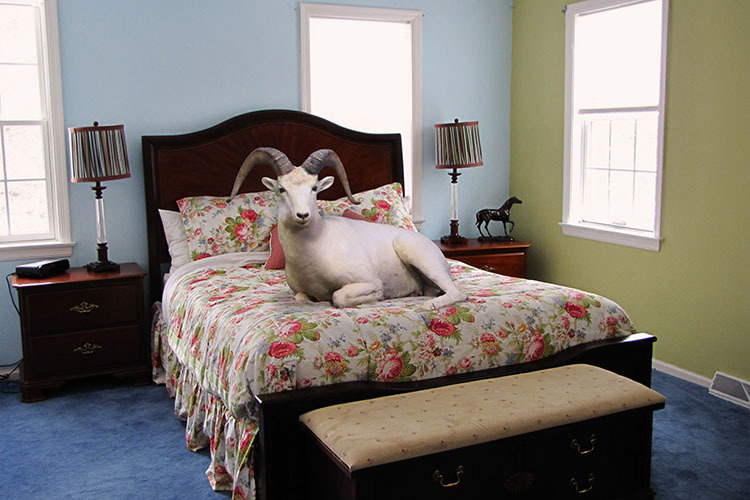 The 2013 Hidden River Art Festival Emerging Artist Gallery People’s Choice Award Winner, Maggie Szpot, digitally “re-homes” taxidermy animals from museum displays into familiar domestic scenes. Graceful abstractions created with translucent layers of color seduce viewers into Patricia Frederick’s dreamy color-rich worlds. Lisa Koch’s background in biochemistry inspires her to push the boundaries of material expectations. 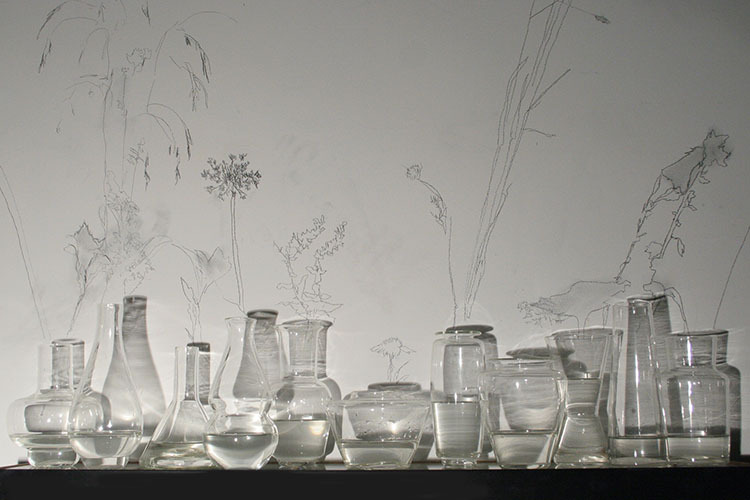 Her glass sculptures shift with each new reflection, creating the impression of many works within one. Using the framework of Wisconsin landscapes to explore vibrating and soothing color relationships, Borman creates stunning oil paintings with an unusual technique of placing paint on canvas with a pallet knife. Contrast of styles, contrast of inspiration, and a contrast of imagery, but with a shared passion for color, mood and personal expression, painters Karen Ragus and Leslie DeMuth create two very different kinds of paintings. Selected by 2012 Emerging Artist Gallery attendees as the Hidden River Art Festival “People’s Choice” winners, Makeal Flammini and Robert Meincke are rising art stars that offer a unique view of the world around them. The photography of Sarah Stonefoot invites us to stop and stare. What at first glance appears to be a white pillowcase with an ornate red design is in fact a pillowcase covered in intricately placed red ladybugs. 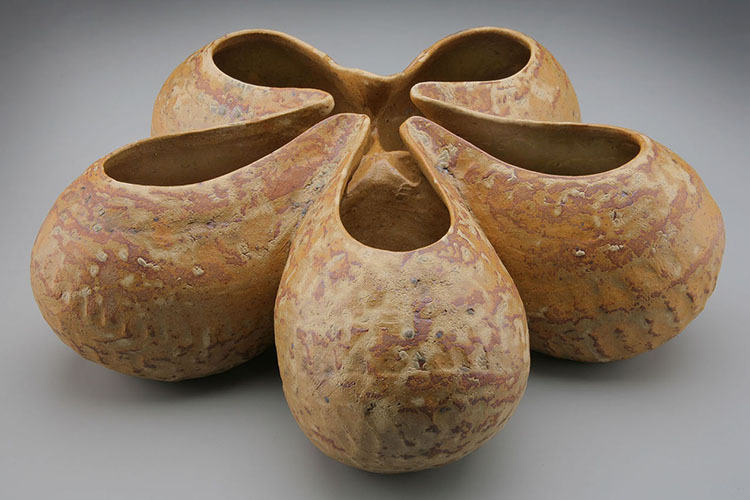 Stonefoot describes: “The botanical objects I have brought into the home are stopped in transformation. Their location is often questionable and their capacity for self-motivation is ambiguous. Fluent in a secret language that’s rich in mythic rawness, they crawl, branch, sprout and mimic their surroundings.” The subtlety and humor of her work set it apart. In 2009 Sarah was singled out as a “Pick of the Month” artist in Photo District News and was recently selected to participate in the Catherine Edelman Gallery’s Chicago Project. Best known for his rural inspired imagery, Craig Blietz's work amalgamates that vision with a formal and conceptual approach to painting. Blietz received a BS from The University of Denver. He continued his art and design studies at Harrington College of Design and finished his formal studies at The School of Representational Art. Blietz studied privately with master draftsman and Chicago figurative artist Fred Berger, Chicago portrait artist Richard Halstead, and painter/printmaker/illustrator John Rush. Interested in the shared experience of our finite existence, Rory Burke creates work that strips humans, quite literally, to the bone. Working with cast resin, ashes, ink, and other mixed media, Burke creates skulls and busts that provide a unique, introspective interpretation of the human condition. 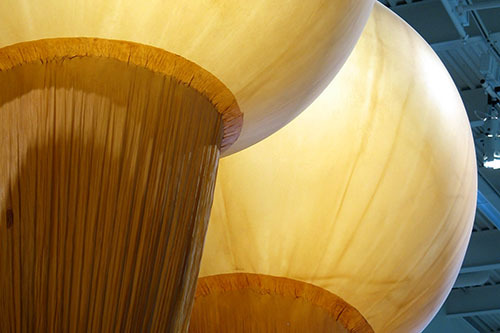 Burke exhibits her work internationally, has been awarded an Outstanding Scholastic Achievement award by the International Sculpture Center, and was the Arts/Industry Resident at the Kohler Company, Kohler Wisconsin during the winter of 2011. An exhibition by Madison artist Richard Jones. Traditional glassmaking techniques are an integral part of Richard’s work, allowing for a wide variety of designs and imbuing each piece with subtle but significant features. Since the opening of the Sharon Lynne Wilson Center for the Arts in 2002, exhibiting the work of Wisconsin visual artists has been integral to the Center’s mission to be the catalyst for lifelong discovery and exploration of the arts. The Ploch Art Gallery has featured the work of Wisconsin artists who spark conversation, engage imagination, and connect us to our humanity. The Wilson Center 10th Anniversary Retrospective is a celebration of the artists, committee members, staff, and community who have been part of making the Ploch Art Gallery one of southeast Wisconsin’s premier visual art venues. Regarding his own work as “functional sculpture,” Schwarte's sleek and sophisticated pieces bring functional woodwork into an artistic realm. Schwarte is a master of cabinetry and furniture in the most creative ways. Using acrylic paint, paper collage, and printing techniques, Valadez creates futuristic, mechanical worlds that feel like a deconstruction of space and matter. Drawing inspiration from George Orwell’s 1984, Valadez focuses on the ways in which technology shapes our experience of the world and how we are in turn seen by it. Jane Foster Doud’s many years of energetic involvement within our regional arts community have resulted not only in an extensive collection of works by Wisconsin artists, but a vast historic knowledge of their lives. She has had a unique vantage point to observe the dynamic changes to our state’s visual arts scene to which she has made a significant and lasting contribution. The late Doud was a local artist, educator, and arts patron. Her collection represents well-known and highly respected artists of the mid 20th century in Wisconsin such as Schomer Lichtner, Aaron Bohrad, John Colt, Ruth Grotenrath, and Karl Priebe. Doud’s illustrious collection is greatly enhanced by the stories and experiences of her full-filling life and the strong relationships she had with the work. Katie Musolff’s oil paintings and drawings present a study of landscapes, figures, fish, and botanicals that reveal a delicate sensitivity in painting as well as her observations of life. Musolff is a graduate of the Milwaukee Institute of Art & Design, completed a residency at the Pfister Hotel, and is a 2008 Hidden River Art Festival "Best in Show" award winner. The League of Milwaukee Artists formed in 1947 as a visual arts organization whose purpose was to bring together artists for the mutual advancement of its members and their work, and to promote interest, appreciation, and understanding of art in Milwaukee. 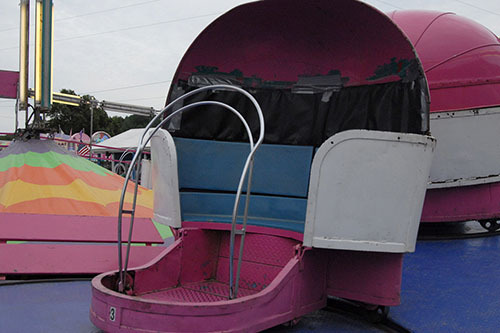 In the 1950s the LMA became the first art group in the midwest to hold outdoor art fairs. Since then the LMA has become a staple in the Wisconsin arts community and has become a resource for many outstanding Milwaukee area painters by promoting art through exhibitions and fairs, and has exhibited in such venues as the Museum of Wisconsin Art, The Cedarburg Cultural Center, and the Charles Allis Art Museum. 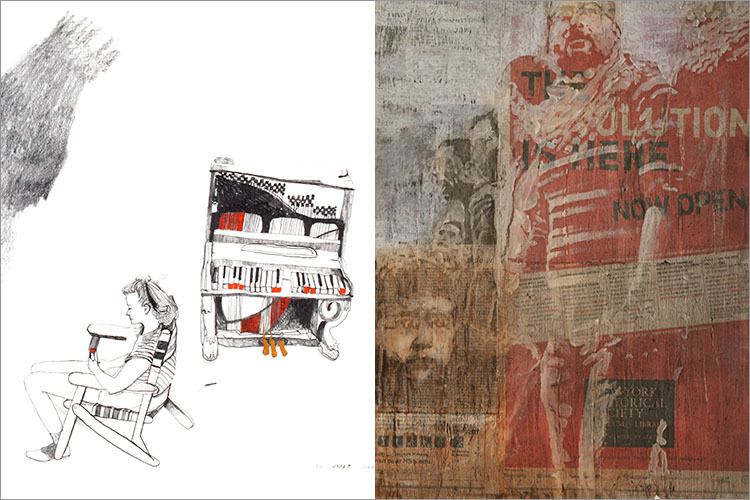 This exhibition at the Wilson Center features over 30 juried members. Selected works will include drawing, oil painting, watercolor, and acrylics. Painting with a colorful and vibrant palette, Rodger Bechtold gives the viewer a transformative vision of landscapes through his rich interpretations of the Midwest. Bechtold says his subject has always been landscape, and his artwork as a whole has always been about color. He frequently works and teaches en plein aire, working directly outdoors. Joann Engelhart’s mixed media pieces combine textile, print, and found organic materials to present us with a balanced, harmonious, and artistic use of nature. In addition to using various processes of fibers surface design, Engelhart also incorporates decayed leaves and tediously hand-stitches them. Dried and preserved in shellac, they represent the passage of time and create extraordinary color, patterning, and texture. Emily Belknap uses large stone sculpture to create a sense of time, describing its impact on nature. By focusing on simple patterns and movements, she reminds us of how fragile a moment can be. Belknap graduated from the Milwaukee Institute of Art and Design in 2007. She has shown her work throughout the Milwaukee area, including the Museum of Wisconsin Art, the Mitchell Park Domes, and has also participated in three Hidden River Arts Festivals. Founded in 2006, the mission of CoPA is “to develop appreciation, promote growth, and support the creation of photographic arts in the Greater Milwaukee Region.” Thirty artists have been selected for this juried exhibition, which focuses on visions of the natural world. Jurors are Chinese brush painter Charlotte Fung Miller and nature and landscape photographer, Wayne Nelson. 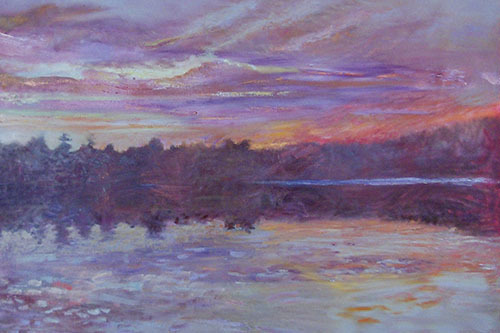 Kathleen Raash’s paintings reflect the influence of living on a small lake in northern Wisconsin. Her interest is in capturing the rippling reflections on the lake, flickering images of trees, texture of bark, moss, and water, and the strong colors of the sunsets and northern lights. Raash finds that, in lake studies, the quality of light reflected in the water is not a direct reflection of sky in the water, but rather an expression of changes caused by the motion of the surface. A Wisconsin native, Raash completed her undergraduate work at UW-Eau Claire and her graduate studies in fine art at UW-Milwaukee. Photographer Aron Meudt caught the attention of the judges at the 2007 Hidden River Art Festival with her striking photographs documenting the realities of Wisconsin farm life, and her concern over the disappearance of the family farm. 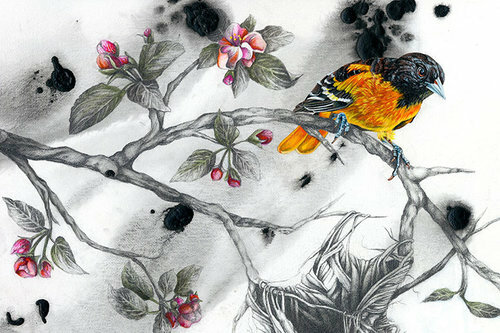 A graduate of the Milwaukee Institute of Art and Design, Meudt’s youthful perspective earned her the Best in Show Award. Her current body of work is no less personal, capturing memories associated with a dear childhood friend who passed away. These evocative, thoughtful images convey Meudt’s grieving for a shared past.